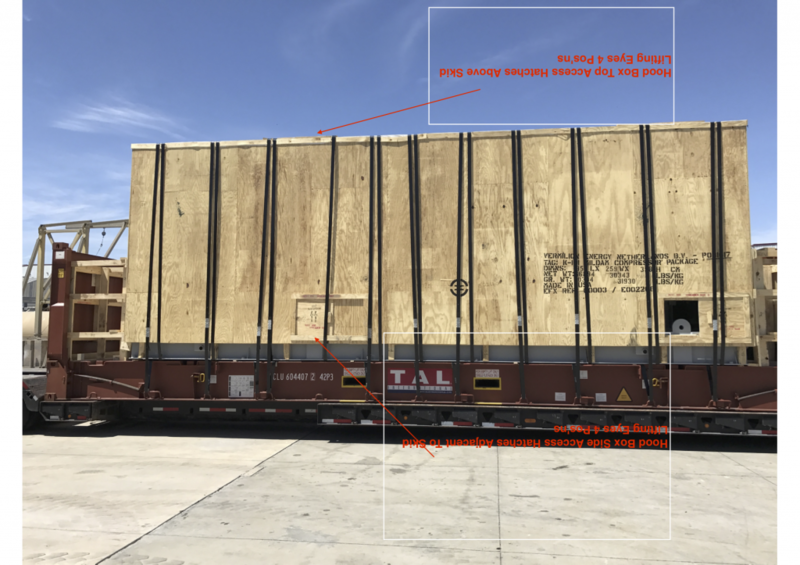 This was a crated gas compressor, that originated from Houston USA which needed to be moved through the port of Southampton to the Dutch (Frisian) port of Harlingen. The dimensions were 9.55m long x 2.59m wide x 3.59m high. All in all 31.930 kilos. The shipment was cleared into the United Kingdom and then re-exported to the Netherlands. Specialist equipment with the necessary permits was utilised. 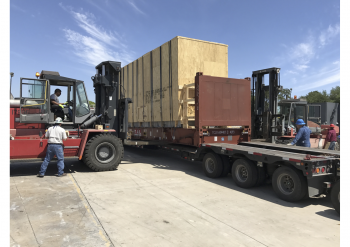 Collection of the item was very time specific as the goods were transferred directly from the flat rack to the low loader. T his saved crane time and any possibilities of damage.